Researchers may have found an enzyme that could enable any plant to product fuel. In their quest to find the next best environmentally friendly fuel, a team of international researchers have announced that they have successfully isolated an enzyme with lycopaoctaene synthase activity in common algae known as Botryococcus braunii. This enzyme is responsible for hydrocarbon oil production and the scientists are investigating how to use the enzyme to mass-produce biofuels. This discovery could be a breakthrough for the alternative fuel industry. Although not as clean as other forms of renewable energy, such as wind and solar energy because it requires combustion, biofuels are compatible with existing gas and oil-based infrastructure and are certainly a cleaner alternative to traditional fuel. Biofuel is a type of hydrocarbon and is derived from biological processes sources, such as the pyramid-shaped Botryococcus braunii. 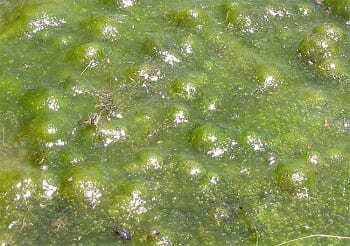 These algae can be found all over the world and are capable of creating hydrocarbons as part of their regular metabolism. As much as 40% of the organism’s dry weight is made up of hydrocarbons, which are also excreted outside the cell. The researchers were interested in studying the algae and investigating the mechanism by which it makes its hydrocarbons. Researchers are exploring how to make plants generate more oil to commercially produce biofuels. In a study, which was recently published in Nature Communications, the scientists report that they discovered the enzyme in the slow growing algae. While the researchers learned that lycopaoctaene synthase produces only a small yield of hydrocarbon oils in Botryococcus braunii, they also discovered that it is capable of producing much more. Therefore, if the researchers can find a way to increase production it would make these plants or any plants modified with the enzyme into viable sources of biofuels. By putting the enzyme in plants or different algae, researchers could potentially increase the rate of production. “Maybe if we can transfer the genetic information to make these oils into quicker-growing organisms like other algae that grow a lot quicker or a land plant that can produce large amounts of biomass, we can have them produce oil for us,” said scientist Timothy Devarenne, who was also one of the author’s of the study. The team of researchers who took part in the biofuels study consisted of scientists from Texas A&M University, The University of Arizona, China’s Biotechnology and Japan Science and Technology.